Denture wearers are quite familiar with the term “denture-adhesives” that are considered safe to use, especially when applied as per the dentist’s advice. However, dental experts suggest that excessive use of adhesives for filling voids in the case of ill-fitting dentures may affect the health of underlying tissues. In some cases, the tissues may even experience inflammation. Denture adhesives are used to help retain dentures in the mouth. Denture adhesive will fill voids where gum tissues have shrunk and the suction of a denture has been decreased. One category of denture adhesives comes as paste that is applied to either a dry or wet denture. While placing the adhesive, one should make sure that it isn’t placed too close to the denture borders. As the adhesive starts oozing, the adhesive should be used less. While using the adhesive for the upper jaw denture, three short strips should be applied along the ridge region, followed by one down the area’s centre. For the lower dentures, three short strips should be applied in the ridge area’s centre. Another type is powder-form adhesives that are sprinkled as thin layers throughout the denture’s tissue-bearing area. Excess powder should be shaken off with the denture being pressed into place. Many people prefer adhesives in powder form as compared to pastes as it’s more convenient to clean off these adhesives from the denture as well as tissue. If your denture is has recently started moving, you should consider seeing your dentist for a review of the denture fit. There are two possible solutions to improve the fit of a denture. A denture reline basically means when the existing denture which is not fitting accurately any more is modified to fit better. This is done by means of ‘relining’ a new surface of denture acrylic material inside the fitting surface. An impression is taken inside the existing denture and this is sent to a dental laboratory which will carry out the reline procedure. The result is usually a more snug fitting denture with the exact same teeth and aesthetic appearance detail as before. Your dentist may recommend that a new denture be made in order to improve not only the fit of the denture but also to renew the denture teeth. This may be the case if the denture is several years old. A new denture will provide a better snug fit as well as brand new anatomically shaped teeth. A new denture may take longer time before it feels totally comfortable. Denture wearers become accustomed to their dentures and when these are replaced with new dentures sore spots and problems can arise. It is quite normal that new dentures need to be adjusted by a dental technician in order to become more comfortable, especially during eating and chewing. Several appointments are usually required in order to make a new denture. 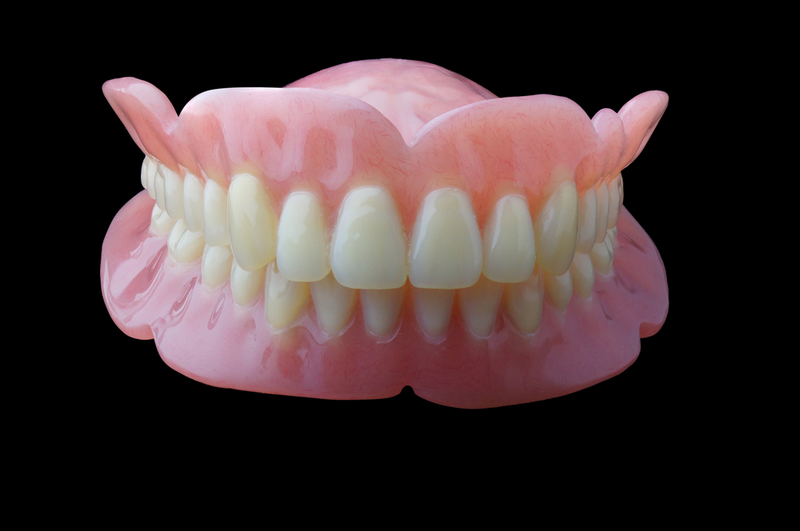 At Brighton Implant Clinic we are able to make a denture in just one day. See our article on same day dentures. If you want to eradicate dentures moving all together why not consider dental implants. Dental implants are small titanium screws which are placed into the jaw bone. Unlike dentures, dental implants are secure in the jaw bone and can support a single tooth or a number of teeth. Dental implants can give you complete fixed teeth supported on dental implants. Brighton Implant Clinic provide affordable dental implant treatment to patients across the UK. All of our staff are trained and experienced in implant treatment. If you would like further information why not call us for a FREE dental implant consultation. Brighton Implant Clinic has 3 branches located in Brighton, Hove and Hailsham.